Watch the Video ALL ABOUT PARIS. It is narrated by a native French speaker. Listen to the french phrases. How are they different from our language? What is the most famous art gallery in the world (it is located in Paris)? 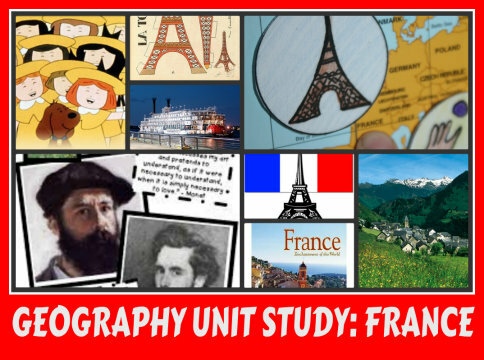 Free Unit study on the Country of France. This study includes inspiring information on everything about India including Culture, Food and Geography. Short biographical studies of famous people who made a difference in Frace. More than just geography lessons. This study was designed to explore folklore and fairy tales and compare Frace to other countries. The ballet, The Sleeping Beauty, is based on a French fairy tale by Charles Perrault. Have your child locate France on a world map. France is a country in Europe, its capital being Paris. 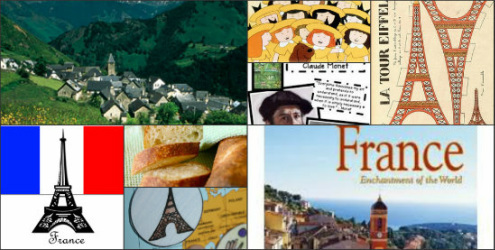 Is your child familiar with France? 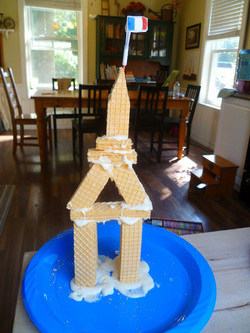 Discuss with your child some of the sites you may see in France such as the Eiffel Tower, Seine River, outdoor cafes, or artists on the streets. You can read more fairy tales by Charles Perrault in French Folk and Fairy Tales by Roland Gant. Here's a link for your own research from National Geographic. If you are one who loves cutting, folding, gluing and creating pockets of information then a lap book is for you. 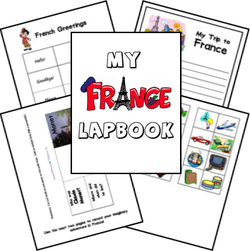 Here are some of our favorite free lapbook resources"
She has other countries as well. Learn More about Art in America from 1860 - reflects PARIS. The experience of Paris transformed American art. As Henry James remarked in 1887: "It sounds like a paradox, but it is a very simple truth, that when to-day we look for 'American art' we find it mainly in Paris. When we find it out of Paris, we at least find a great deal of Paris in it." This essay examines why Paris was a magnet for Americans, what they found there and how they responded to it, and which lessons they ultimately brought back to the United States. He was unquestionably brought some good to France after a decade of chaos and upheaval. He brought security, peace and even prosperity to France. 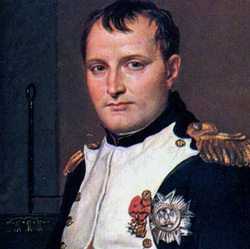 For example, in 1804 the Napoleonic Code was introduced. It had a set of clear laws, applicable to all members of French Society. The Code was also introduced into other parts of Europe conquered by Napoleon, like Italy, Spain and some parts of Germany. More about Napoleon is here. 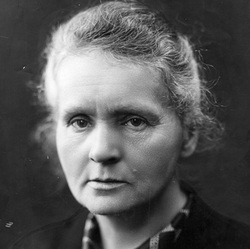 Born Maria Sklodowska on November 7, 1867, in Warsaw, Poland, Marie Curie became the first woman to win a Nobel Prize and the only woman to win the award in two different fields (physics and chemistry). Curie's efforts, with her husband, Pierre Curie, led to the discovery of polonium and radium and, after Pierre's death, the development of X-rays. She died on July 4, 1934.
watch a short BIOGRAPHY on Marie. 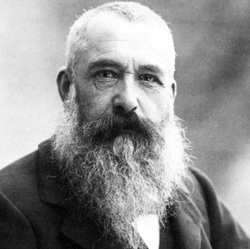 Claude Monet was born on November 14, 1840, in Paris, France. He enrolled in the Academie Suisse. Impression, Sunrise was painted in 1872 and the group of emerging artists were named Impressionists after an article in a newspaper laughingly referenced the style of painting. 1874 was the year of the First Impressionists' Exhibition. The exhibition was held at a studio on the Boulevard des Capucines and also featured the work of other artists such as Edgar Degas, Pierre-Auguste Renoir, Alfred Sisley, Berthe Morisot, and Paul Cezanne.The style is referred to as "Impression," since it was more concerned with form and light than realism. 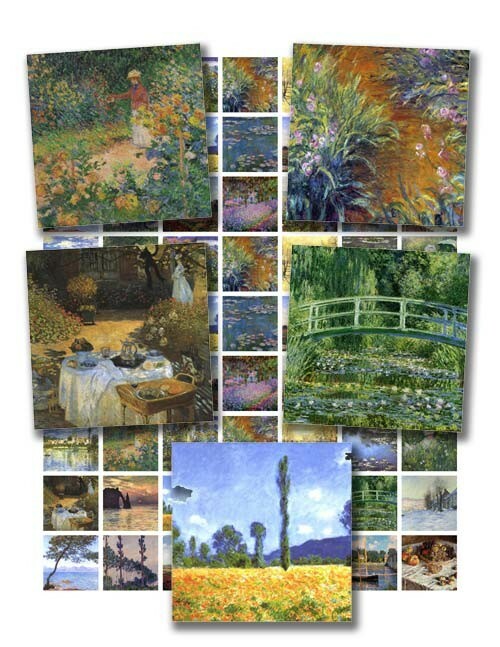 below are images from Monet's collection of work. He focused on producing only his BEST work. Go to the art lessons listed below and complete a work of art in the same impressionist style as Monet. The folktale is a story, passed down verbally from generation to generation. Each storyteller told the stories a little differently, making them more interesting and fascinating as the ages passed. Different folktales bear the characteristics of the culture, folklore and customs of the people from which they originated. Charles Perrault was a French writer who lived in the second half of XVII century. He was one of the first writers in European literature who turned his eyes to folklore. Born in 1628 in a clerical bourgeois family, Perrault received legal education and had high royal office. In the second half of XVII century there was a dispute amidst French writers about the advantage of modern writers compared to the writers of antiquity. Charles Perrault played an important role in this dispute, opposing to the genre and thematic limitations of classical literature. In 1671 Charles Perrault was elected to the French Academy of Sciences. In Folk Art Perrault found rich stories and images to create new artistic works. He turned to folklore by collecting a number of stories and published them in 1697 under the title "Tales of mother Goose". This collection included eight fairy tales, including "Little Red Riding Hood", "Puss in Boots", "Little Thumb" and "Cinderella." In subsequent editions Perrault added two more stories and a novelette. Jean de La Fontaine was a French poet and fabulist, who lived and worked during the XVII century. For special contributions to French literature was elected to the French Academy of Sciences in 1684. Published in 1668, the collection of fables brought La Fontaine international fame. The works of the ancient Greeks, Indian storytellers, other fabulists and folk tales about animals serve as a source of inspiration for the author. Drawing motives from these works, La Fontaine brings new life to the fable genre. Here's an example of his fables in verse. 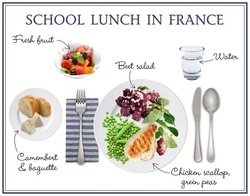 How is lunch in FRANCE different from your family lunch or school lunch period? Starting when children enter school at age 3, school lunch consists of four courses: a vegetable starter (for example, grated carrot salad, or beet salad), a warm main course served with a side of grains or vegetables, cheese, and dessert. Why veggies first? Well, the French often do this at home for their first course; but they also know that hungry kids are more likely to eat the veggies if they are served first. Fresh baguette, eaten plain, is also served. The kids drink water (there are no other drinks of any kind available at lunch, and there is a national ban on vending machines and junk food in all French schools). Dessert is usually fresh fruit, but a sweet treat is often served once a week. There is only one choice on the menu, and food is served to children at the table until they are finished primary school (at 12 years old). This may be why the place where lunch is eaten is called a ‘restaurant scolaire‘ (school restaurant). High-school students typically get two choices for each course and often eat in a ‘self’ (meaning a self-serve cafeteria), although many French parents are ambivalent about this self-service model (preferring the idea of a restaurant).